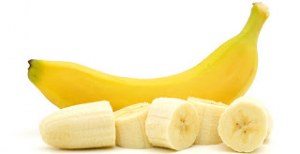 The humble banana is sometimes referred to as the “perfect fruit”. It is available all year round and provides high levels of nutrition. Packed with potassium, vitamins, fibre, manganese, amino acids and anti-oxidants, its health benefits are numerous. The banana is also Mother Nature’s beauty product. When applied to the skin (and hair) it helps combat a host of problems from plantar warts, acne and dry skin to wrinkles. It feeds the skin with all its natural goodness but with none of toxic overload associated with synthetic skincare. 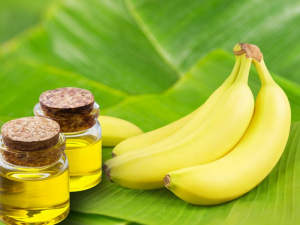 The anti-bacterial properties of banana are particularly beneficial for problem skin such as acne. The anti-oxidants and vitamins help restore collagen, giving you a more youthful appearance. 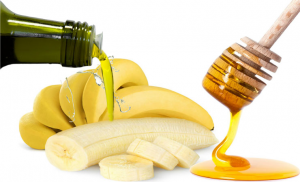 Try our banana mask recipes to repair, revitalise and preserve your skin. Banana Mask For Dry Skin. This is an excellent nourishing mask, particularly for winter. 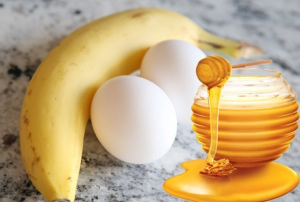 Mash one banana and add 2 to 3 tsp of milk and ½ tsp of honey. Blend together to get a paste-like consistency. Apply to your face, neck and décolleté. Rinse off after 10-15 mins. If you have oily skin, replace the honey with a couple of drops of lemon. This recipe helps fight superficial wrinkles and restore the skin’s firmness and elasticity. Mash a banana and add 1 egg yolk and 1 tsp of crème fraiche. Blend and apply it to a clean face. Rinse after 15mins. This mask is gentle enough to use two or three times a week. Combine in a blender 2tsp of crème fraiche, 1 banana, 1/2tsp honey, 1 tbs plain oats. Apply on a clean face, neck and décolleté. Leave for 25-30 mins. Rinse and apply moisturiser. Use the prepared mask immediately. It loses its live properties if left around for long. Do not massage the mask into the skin but apply as a thick layer. Avoid these recipes if your skin reacts badly. Do a patch test first if you suspect a banana allergy.